Setting a new record, Saachi's parents enrolled their newborn daughter for Aadhaar within 1.48 minutes of her birth on April 18. Saachi's parents with their newborn daughter who got enrolled for Aadhaar with 2 minutes of her birth. Saachi, a new-born girl from Maharashtra, has become the youngest Indian child to get enrolled for Aadhaar, a 12-digit unique number issued by the Unique Identification Authority of India (UIDAI). Saachi's parents enrolled their newborn daughter for Aadhaar within 1.48 minutes of her birth on April 18, setting a new record. 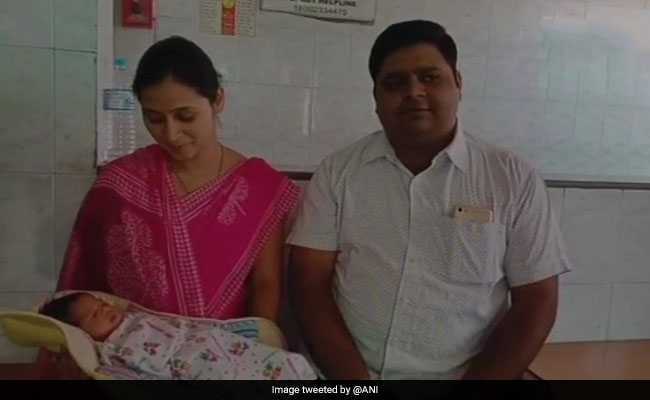 The proud parents, who come from Buldhana's Khamgaon, were beaming with joy for not welcoming their newborn daughter, but also because, in a way, they made her one of the youngest Baal Aadhaar endorsers in the country. To get Aadhaar, a person's biometric details such as iris scan and fingerprints, and demographic information like date of birth and address are needed but in a child's case, a Baal Aadhaar can be easily made with the help of a child's birth certificate and the Aadhaar card of one of the parents. Saachi's father, with the help of authorities and his friends, ensured that she gets enrolled as soon as she is born. "Prime Minister Narendra Modi's has dreamt of Digital India. I resolved to enroll my children in Aadhaar to realise this vision and also link it with various services and schemes," Saachi's father told ANI. "Since Aadhaar's slogan is "Mera Aadhar, Meri Pehchaan", I decided that my daughter gets enrolled for Aadhaar under two minutes of her birth and make her the youngest Indian to get enrolled for this unique identity," he said. He thanked his friends and concerned authorities who helped him in speeding up the process. The young father further said that every Indian must get enrolled for Aadhaar and also link it to various other services. "Enrolling for Aadhaar helps the government, but is more beneficial for us citizens," he added.